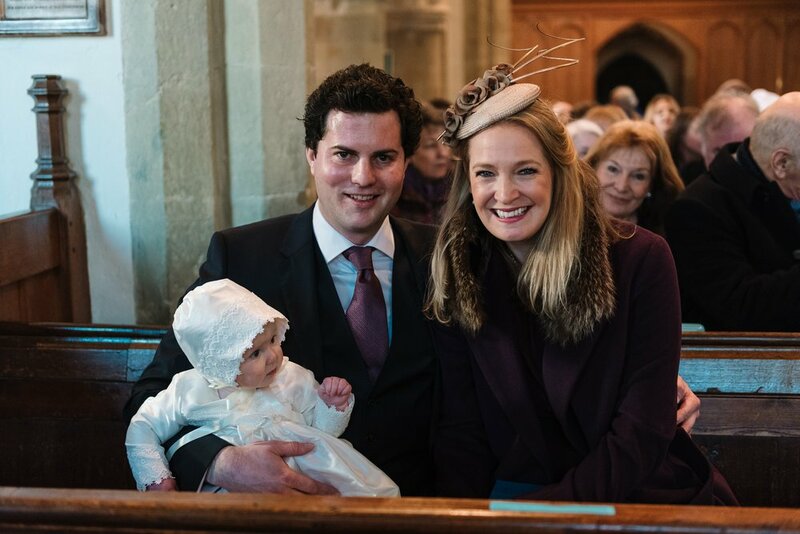 I was asked to photograph Florence's christening - and what a lovely service and party it was! 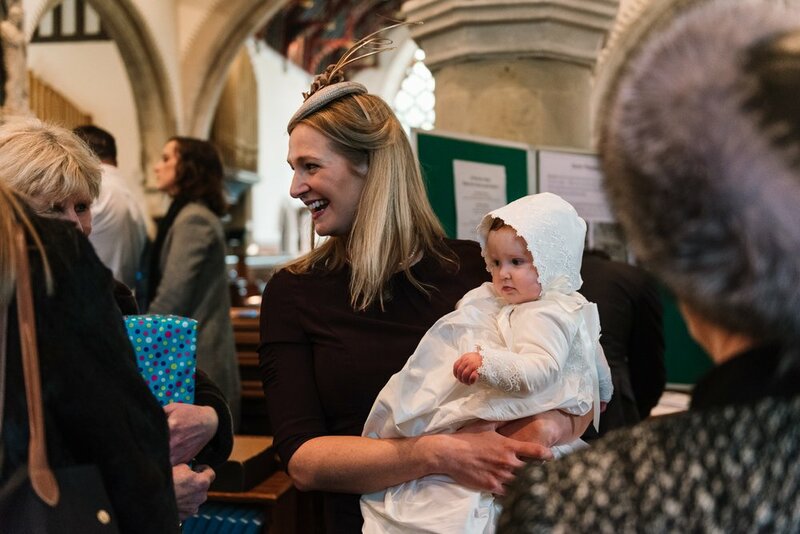 She was beautifully dressed in a long gown and bonnet, and had gorgeous chubby cheeks! 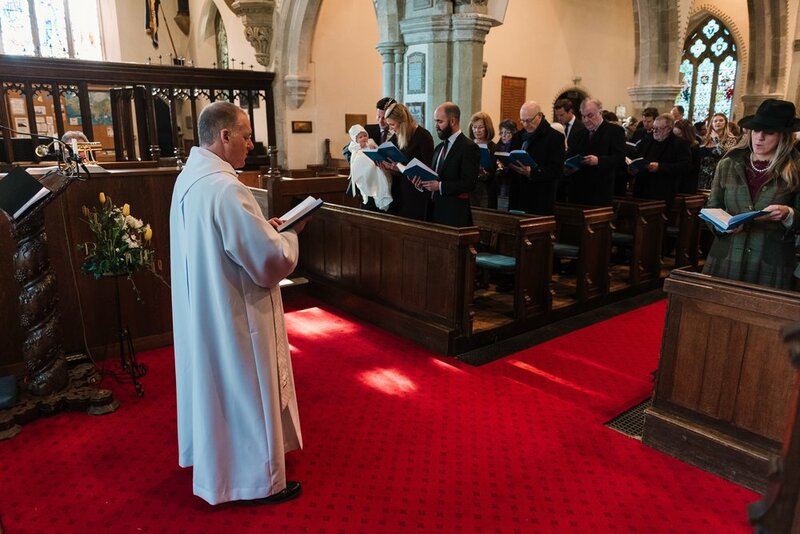 The service was at St Nicholas' Church in Cranleigh - such a beautiful church! Florence was very well behaved during the service, even when dunked in the water! Following the service, they had a party in Cranleigh Arts Centre, a modern and light building in the centre of the town. They had beautiful canapés, and an incredible cake made by a family friend (see below).